Elements is the brand name used by Adobe to indicate the consumer version of its more advanced professional products, with a much cheaper price tag targeted at mass market. Adobe has two software applications which is of Elements series, namely Adobe Photoshop Elements (pse) and Adoble Premiere Elements (pre). The latest version of the two products are both version 8, and were released on September 2009. 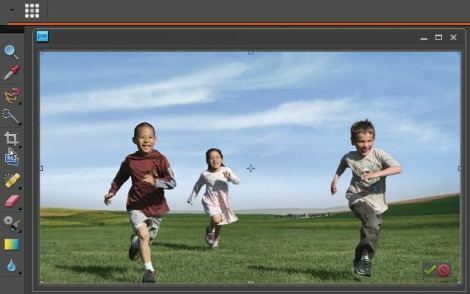 Adobe is offering free download of Adobe Photoshop Elements 8 and Adobe Premiere Elements 8 trial demo version, which can run for 30 days of free usage without limitation. However, to download Adobe Photoshop Elements and Adobe Premiere Elements 8 trial setup installer from Adobe, users are required to create or sign into Adobe account. To workaround the Adobe account requirement, end-user can try to use the following direct download link to the genuine, authentic, and original setup installers of Adobe Photoshop Elements 8 and Adobe Premiere Elements 8. The download is the same which user will download from official Adobe website, and is hosted on Adobe servers. 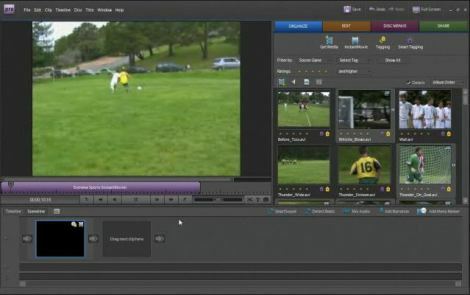 The download links also allow user to download Adobe Photoshop Elements 8 and Adobe Premiere Elements 8 without using the Akamai Download Manager. Note 1: The trial version can be converted to full production and fully licensed version by simply entering a genuine activation product serial key number from retail or volume licensing channel and activate the product and unlock all restrictions. Note 2: As the download size is big, it’s recommended to use a download manager so that the download can resume if terminated prematurely. Important: For the direct download links of Adobe Photoshop Elements 8 and Adobe Premiere Elements 8 to work, downloader has to visit and click on “Try” link of at least one Adobe product in order to set the proper download cookies which permit direct download. For example, just click here or here, which is the link to download Windows version of Adobe Photoshop Elements 8 and Adobe Premiere Elements 8 trial respectively. If the step above still does not allow direct download, register and/or login to Adobe account. Otherwise, an “Access Denied” error message will be displayed indicating you don’t have permission to access the file. Tip: The Windows version of setup installer contains 2 parts, which ends with .exe and .7z file extension. Both files must be completely downloaded and placed inside the same folder for the self-extracting setup to work.